After all these many years, the medical experiments done at the Dachau concentration camp, are back in the news. When Dr. Sigmund Rascher of the Schutzstaffel (SS), a paramilitary organization of Nazi Germany, started conducting his merciless medical experiments at the Dachau concentration camp using prisoners as guinea pigs, he sent for a prisoner, an artist, to document his work. His assistant Walter Neff, a former camp inmate himself, approached Georg Tauber, a Bavarian advertising illustrator. Lured by the prospect of a reduced prison term, Tauber took the offer in 1942. However, unable to stomach the barbarity on display, he showed up at these sessions not more than three times. I have a section on my scrapbookpages.com website about the medical experiments done at Dachau. These experiments were done to SAVE lives. Among the worst atrocities committed at the infamous Dachau concentration camp were the cruel and inhumane medical experiments, using prisoners as guinea pigs, conducted by Dr. Sigmund Rascher for the benefit of the Luftwaffe, the German Air Force. From March 1942 until August 1942, Dr. Rascher performed high altitude experiments under the authority of Reichsführer-SS Heinrich Himmler. The Nazi justification for these experiments was that this was done in an effort to save the lives of German pilots. In 1942, the American government did similar high altitude experiments for the US Air Force. According to a book entitled “Lindbergh” by A. Scott Berg, these experiments began on September 22, 1942 when Charles Lindbergh and six of his colleagues flew to Rochester, Minnesota where they met Dr. Walter M. Boothby, a pioneer in aviation medicine, who was the chairman of the Aeromedical Unit for Research in Aviation Medicine at the Mayo Clinic. Their mission was to study the medical problems associated with high altitude flying. For the next ten days, Lindbergh himself became a human guinea pig, according to Berg’s book. After the conquest of Germany, the American government confiscated the results of Dr. Rascher’s tests and made use of his experiments for the US Air Force. In today’s online edition of The Register Guard, there is an article by Winston Ross about Bill Sarnoff, a U.S. navy man who was sent to Buchenwald for five days to help the survivors after the camp was liberated on April 11, 1945. Now 84 years old, Sarnoff told his story yesterday to more than 100 people who attended a Holocaust Remembrance Day event. Bill Sarnoff was sent to Buchenwald because he was familiar with several European languages. His job was to help by communicating with the sick prisoners in the camp. 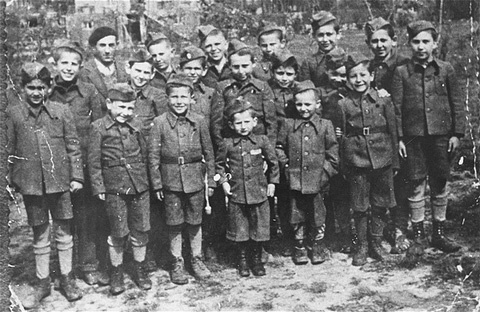 Most accounts of the Buchenwald liberation say that there were 21,000 survivors in the camp. There was a brothel at Buchenwald, but it was for the prisoners. 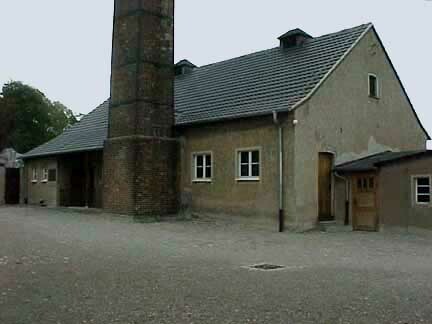 There was only one crematorium at Buchenwald. There were 3,000 sick prisoners and 18,000 who were not sick. 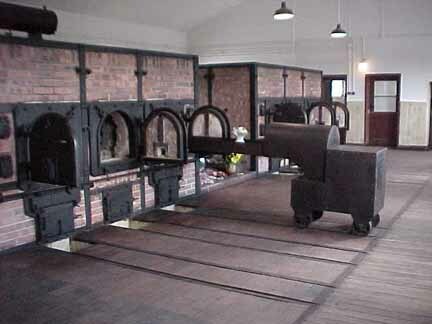 The photos below show healthy prisoners and the one crematorium. 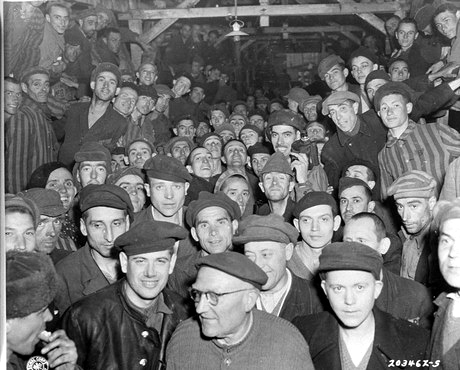 According to a U.S. Army report dated May 25, 1945, there was a total of 238,980 prisoners sent to Buchenwald during its 8-year history from July 1937 to April 11, 1945, and 34,375 of them died in the camp. This report was based on records confiscated from the camp by the US military, after the camp was liberated. A later U.S. Government report in June, 1945 put the total deaths at 33,462 with 20,000 of the deaths in the final months of the war. Prisoners were not sent from Buchenwald to Auschwitz to be executed. It was the other way around: survivors from Auschwitz, who had not been executed, were evacuated to Buchenwald. There were medical experiments done at Buchenwald, but these experiments were done to find a vaccine for typhus, which was the disease that devastated all the concentration camps in the last 5 months of the war. The prisoners who were used in the experiments were criminals who had been condemned to death and had been sent to Buchenwald to await their execution date. It is true that each prisoner had to keep his spoon and bowl in his possession, and he had to keep these items from being stolen. If a prisoner lost his bowl, he still had a cup that he could eat soup out of, or he could steal someone else’s bowl. A prisoner who lost all of his dishes and utensils could still eat bread, and he could share a bowl with another prisoner. What gets his daughter Julie Hanes, a nurse, was the torture and the medical experiments carried out on her father and the others. “They just injected medicines. They didn’t know what they were. They used the same needle over and over and over again,” said Hanes. According to Wikipedia, there are laws against Holocaust denial in Austria, Belgium, Bosnia and Herzegovina, the Czech Republic, France, Germany, Hungary, Israel, Liechtenstein, Luxembourg, the Netherlands, Poland, Portugal, Romania, Spain and Switzerland. Holocaust denial is punishable by up to 20 years in prison in Austria, and up to 5 years in most other countries. Isn’t it time to punish Holocaust liars? This article totaled me out for today; I can’t read any more news about the Buchenwald anniversary celebration.